Lucy Cheadle of Washington (Mo. 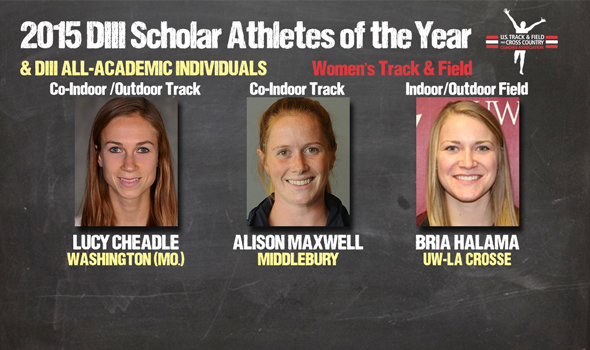 ), Alison Maxwell of Middlebury and Bria Halama of UW-La Crosse have been named the female Scholar Athletes of the Year in Division III for the 2014-15 track & field season by the U.S. Track & Field and Cross Country Coaches Association (USTFCCCA). ALSO: 420 women earned All-Academic honors. 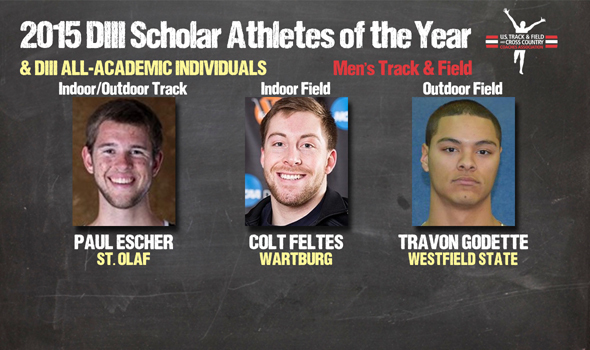 Paul Escher of St. Olaf, Colt Feltes of Wartburg and Travon Godette of Westfield State have been named the male Scholar Athletes of the Year in NCAA Division III for the 2014-15 track & field season by the U.S. Track & Field and Cross Country Coaches Association (USTFCCCA),. PLUS: 297 men earned All-Academic honors. 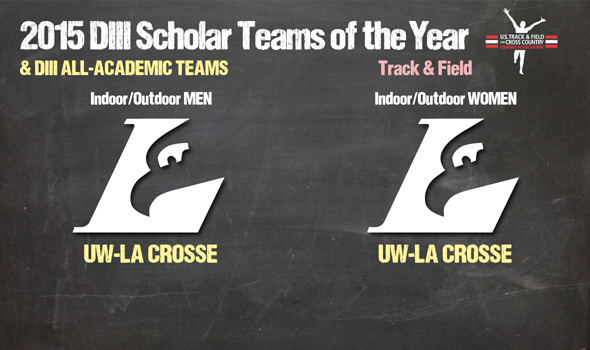 For the first time in the history of the award, which dates back to 2007, a single school – UW-La Crosse – has swept both the men’s and women’s Scholar Team awards for the indoor and outdoor seasons. 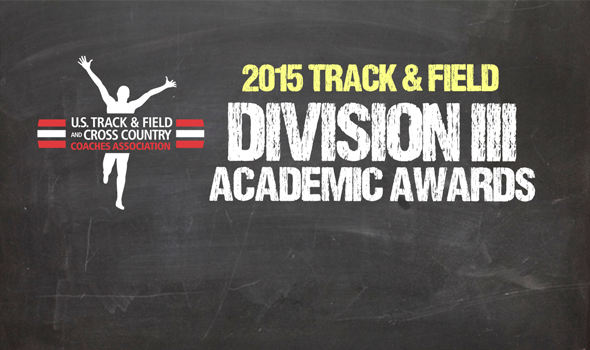 PLUS: 170 women’s teams and 99 men’s squads earned All-Academic Team honors.